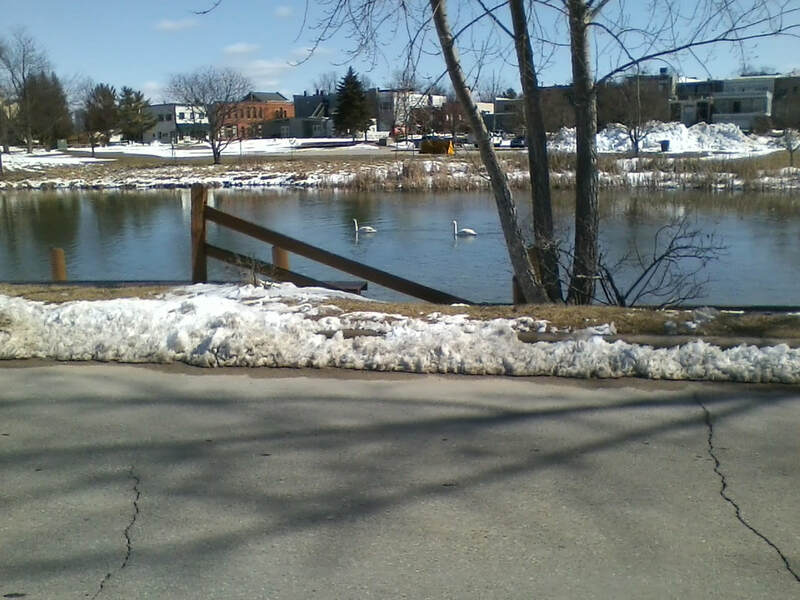 Trumpeter swans are all white with a black bill and face. They are the world's largest waterfowl. They prefer nesting sites with little human disturbance. They coexist with geese and ducks. Their 'call' is a resonating hollow, nasal honking. They are thought to mate for life.